I have had a love-hate relationship with Spain over the years. It was the only ever place we went on holiday abroad as a child (and that was only 2-3 times) and the places we visited always had the 'Brits Abroad' feel to them which as I grew older, wasn't really my cup of tea. 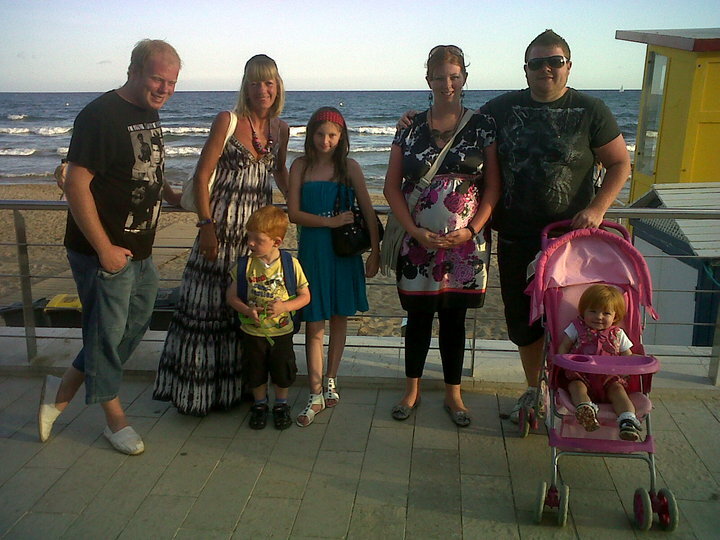 But as a young family, we were drawn to Spain as it was relatively cheap, sunny and very to easy to get to from the UK. It's the country we've probably explored and visited the most as a family and over the years, we've grown to love it. I love the authentic parts of Spain where you can stroll around harbours, eating tapas and drinking Cava while the kids play on the beach and Steve and I often talk about spending a couple of months every year in Spain when we retire (anyone else plan that far ahead??). I'm always looking for recommendations for places to stay in Spain so I thought I'd put together a round-up of reviews I've found across the internet. Let me know if you fancy any of these or if you have any other recommendations for places to stay. Along with Sanguli below, Camping La Siesta is one of my favourite resorts in Spain. This site is much smaller and has less to do than Sanguli below but what it lacks in size, it more than makes up in location. 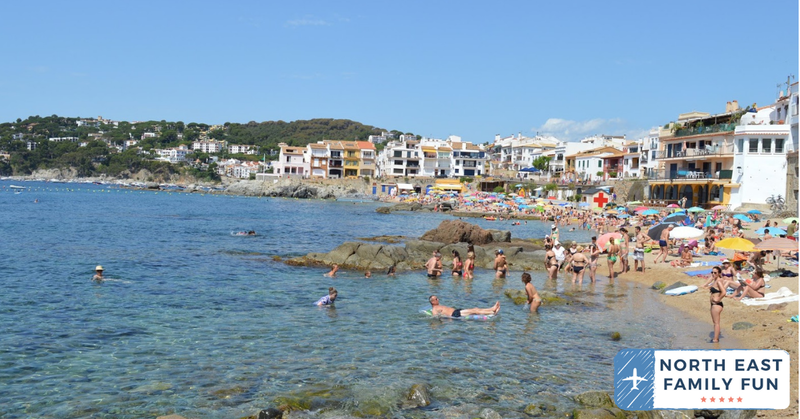 Calella de Palafrugell is the most beautiful Spanish harbour town with seafood restaurants and authentic tapas bars lining the harbour where the beach is home to overturned fishing boats at night. It really is the most wonderful area of Spain and where the Spanish tend to go on their holidays. 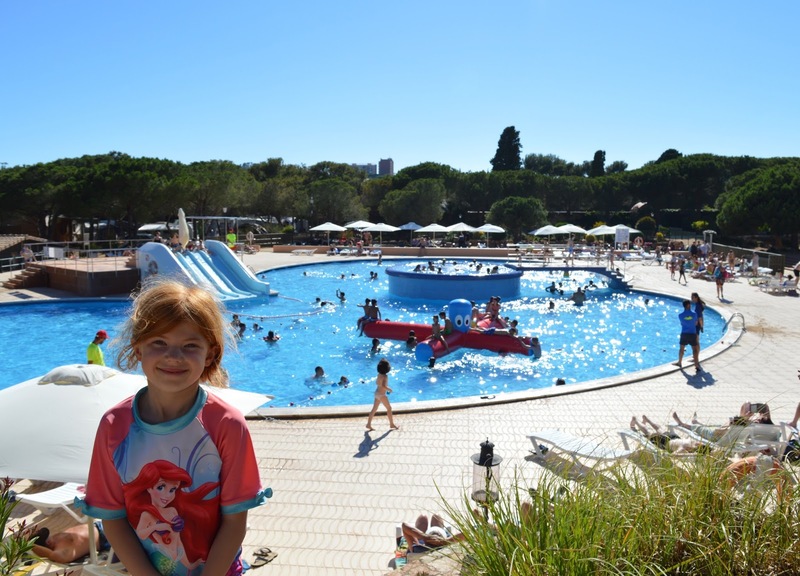 Camping La Siesta has two pools, a kids club and a lovely little bar/takeaway/restaurant serving whole roast chickens, jugs of Sangria and the best Paella we've ever had. 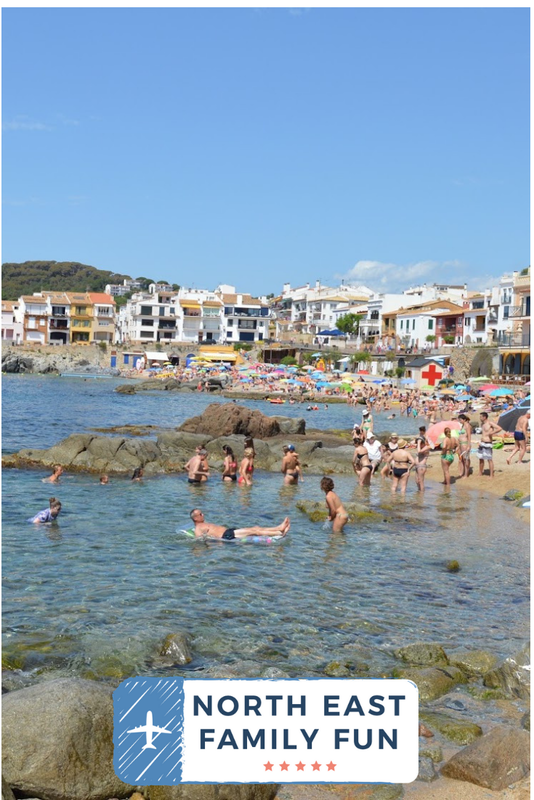 You can read more about Calella de Palafrugell here and here and more about Camping La Siesta here. I am a huge fan of Sanguli in Spain. We have stayed at this holiday park twice now and think it's ideal for young families who are looking for lots of facilities and great pools. It's on the outskirts of Salou but we didn't visit the main resort once during our stay - we only ventured as far as the fountains to watch their evening show. There is so much to do that you don't really need to leave the site. 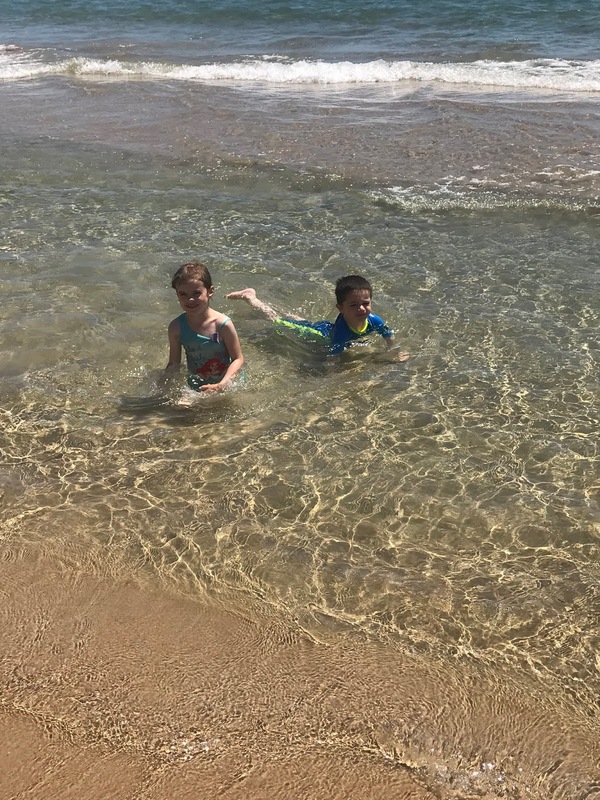 We much preferred the resort of Cambrils which is in the opposite direction to Salou and just 5 minutes along the seafront on the bus from the park. Cambrils is typically Spanish with gorgeous restaurants, cobbled streets, boutique shops and a sandy beach which goes on for miles. It's also pretty easy to get to Barcelona from here if you fancy a day trip. Back to Sanguli itself and you are spoilt for choice with things to do with its own amphitheatre, African-themed pools, kids clubs, sports, playgrounds, cocktail bars and more. You can read my review of Sanguli here, check out this more recent review (and stunning photos) from Five Little Doves and book online via Eurocamp here. Writing this review has made me want to book another holiday here. I really love this place! 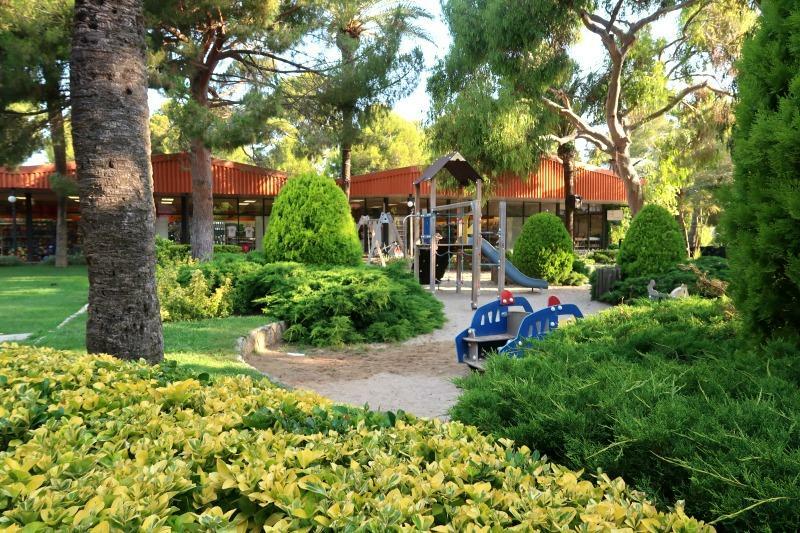 We stayed at Vilanova Park when I was pregnant with Jack and then returned the following year with three kids under 5. I can't believe I haven't actually written a blog review on this place! It's a great option for those who want to leave the car at home (we organised transfers with the site directly). There's a choice of swimming pools, a spa and wellness centre and beautiful gardens to enjoy and a bus will take you directly into Barcelona (or you can catch a train from the town centre). We visited Sitges during our stays which is one of my favourite towns in Spain - very arty with lots of cute cobbled streets, beaches, architecture, galleries and restaurants. 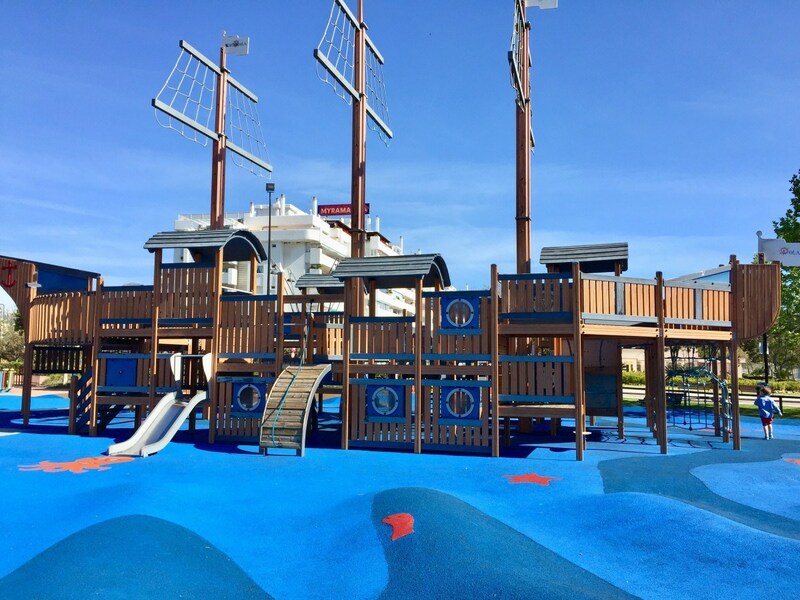 Find out more about Vilanova Park here. 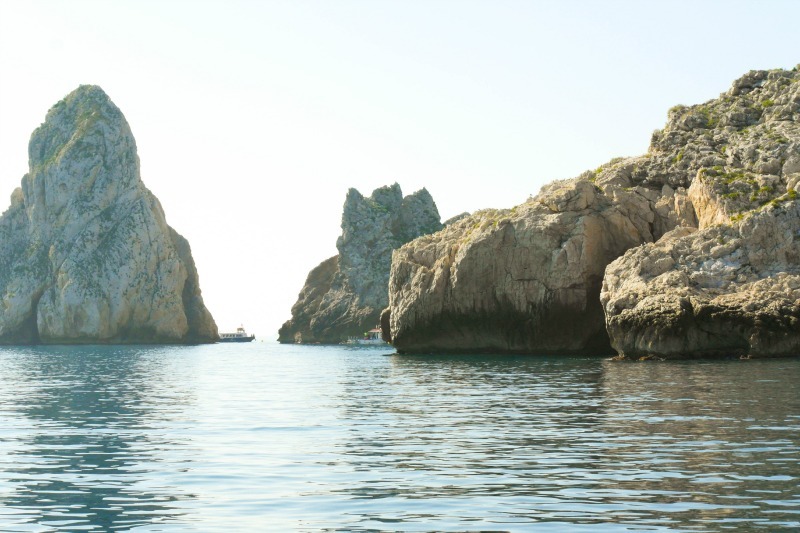 Now I'll be honest when I say that L'Estartit is one of those touristy places I visited as a child and I would not have added it to this list based on my memories. However, Helen from Actually Mummy has changed my mind with this review. It seems like there's loads to do for kids from a Pirates Festival to horse riding, electric bike hire and wonderful beaches. The food looks delicious too, I particularly like the sound of street stalls selling pizza bread and giant pans of Paella to share. Helen stayed in Hotel Medes but I think if I ever stayed, I want to stay at Castell Montgri. We actually nearly stayed here when I was a teenager and there's absolutely loads on-site to keep families happy from a funfair to huge swimming pools with slides which are open until midnight, free kids clubs and entertainment. Alicante is super easy to get to from the UK and it looks like the perfect destination to enjoy some of Spain's beautiful beaches. The water looks nice and shallow here and it looks like Mummy's Diary had a wonderful first family holiday here. Check out these hotel deals for Alicante - available from the bargain price of just £25 per room per night. Truly Madly Cuckoo enjoyed a relaxing family holiday in Mojacar Playa (an area I hadn't really heard of if I'm honest). Their family were able to pick up cheap flights to Almeria airport with Jet2.com from Leeds Bradford and booked a townhouse independently. This area of Spain looks beautiful and the town has the most amazing views. There's a huge beach with lots of beachside (and hidden) restaurants and a waterpark nearby. Looking at the photos, this resort is very typically Spanish and looks like our kind of place. I'd definitely consider staying here in the future. Check out these apartments and hotels in the area, available from just £35 per night. Adventures of a Yorkshire Mum managed to book a holiday to Benidorm for less than £1k. I have to be honest, I've been to Benidorm on a hen party and I think I would be unlikely to book this area for a family holiday after experiencing the nightlife the resort has to offer first hand. BUT so many families rave about Benidorm and love it so I've decided to include it as just because it's not my cup of tea, doesn't mean it's not yours. Yorkshire Mum stayed in the Europa Apartments which are in a good location in a quiet part of Benidorm (just 3 minutes from the beach) and they sleep 6 so ideal for larger families. 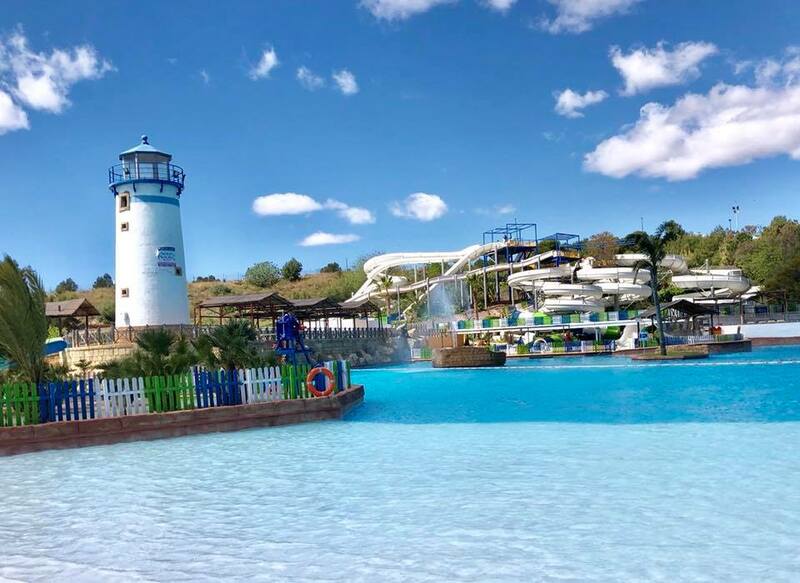 Benidorm is home to lots of water parks and beaches so it's a good option if you have older kids and you're on a budget I think. Captain Bobcat recommends Fuengirola in the Costa Del Sol as a lovely place to take the kids. My mam has stayed in this resort and also highly recommends, in fact, she keeps nagging Steve and I to book a trip as she knows we'll love it. I'm sure we will get around to it one day. There seems to be so much to do for families in this area of Spain from beaches to playgrounds and animal parks. It's also really easy to hop across to Gibraltar from here. 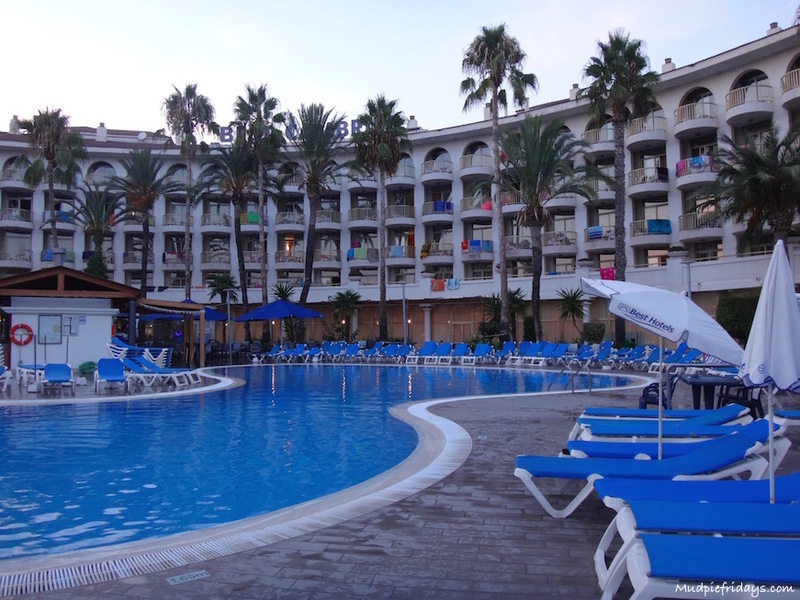 Click here to search hotels in Fuengirola. Monkey and Mouse stayed at Playa Montroig Campsite near Tarragona. This site is ideal for families with tropical gardens, a heated lagoon-style pool, six waterslides and lots of entertainment. It's also within easy reach of the town of Camrils (one of my favourite areas of Spain), Barcelona and Port Aventura theme park. I love Eurocamp holidays and would definitely consider staying here as we love this area of Spain. I've wanted to visit PortAventura forever and I think now that my kids are older, they'd love to visit. I'd especially like to stay at one of their on-site hotels but if you're on a budget, there are plenty of family resorts in the immediate vicinity including 4* hotels from just £35 per room per night. 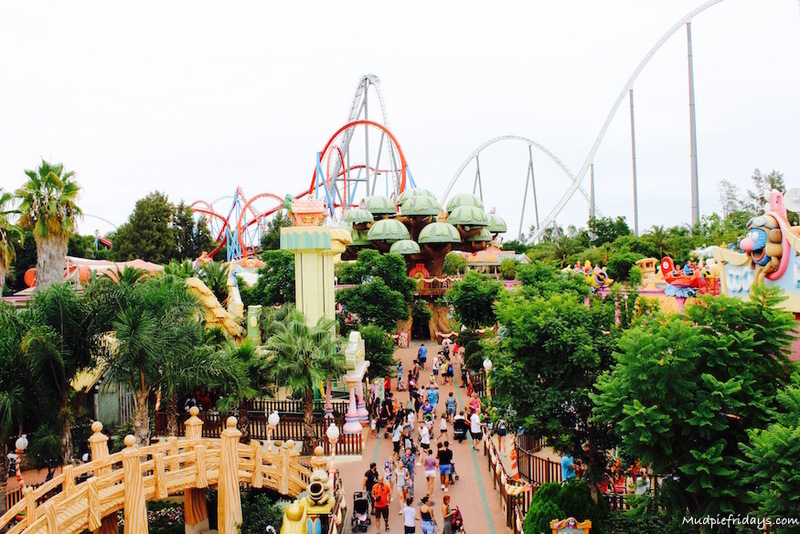 PortAventura is made up of six different worlds plus a water park and Cirque du Soleil - it's HUGE. There seems to be an abundance of things to do here and there are often late night openings too. I know that H, H and J would love to spend a week enjoying the rides, entertainment and all there is to do here. Barcelona is one of my favourite cities and somewhere I've taken the kids on three occasions now. 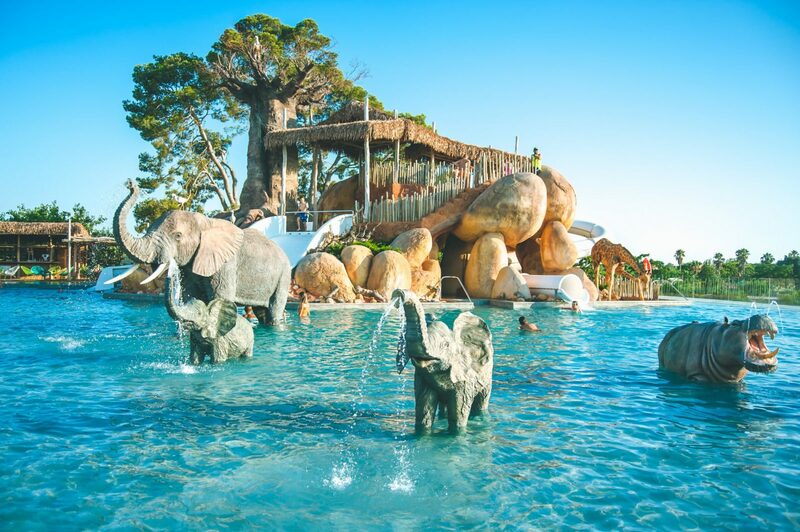 It's super child-friendly with its own beach, aquarium, zoo, fountain shows, stadium tours, cable car rides and more and very easy to get to with multiple flights from the UK. My three love strolling along Las Ramblas and taking in all of the street theatre and general hustle and bustle. Mudpie Fridays have a good post featuring 10 things to do in the city with young kids and I have shared some top tips here and here. Take a peek at some of the fabulous hotels in the area here. If you're looking for a weekend break in Spain with kids, Barcelona would be at the top of my list. Is a spa break with kids in Spain possible? Globalmouse tried just that in Galicia and it looks idyllic. 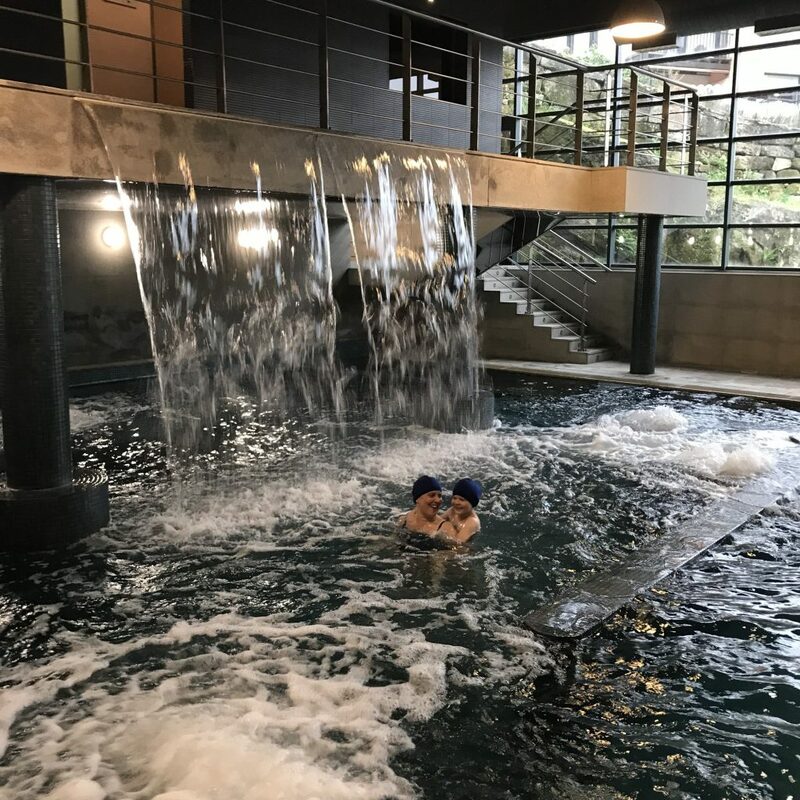 There are lots of thermal pools in the region and OCA Allariz, there's a beautiful pool with it's own waterfall and treatment rooms. With children's menus, a playground and family spa times, this hotel looks ideal for some proper r&r with the family. Aragon is an area of Spain I haven't really heard much about so it was lovely to read this post by POD Travels sharing all there is to do in the area. 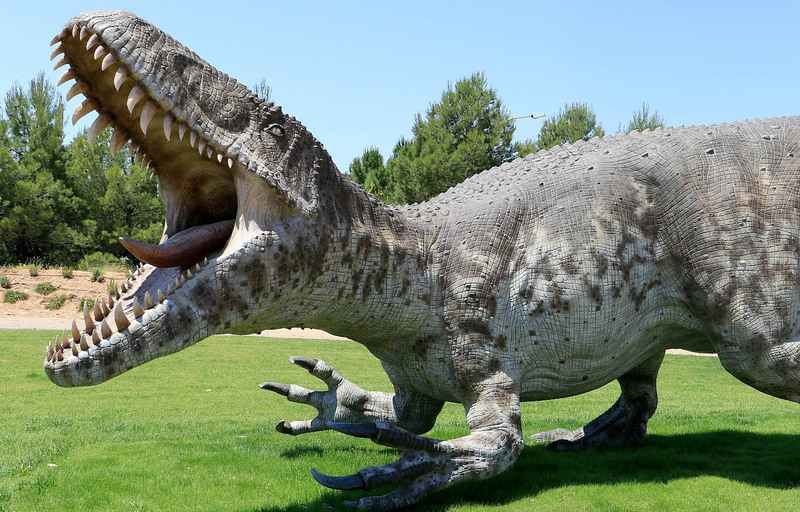 From a Planetarium with a 4D simulator to beautifully preserved castles, white knuckle activities, museums and even dinosaurs. It looks like a fantastic place to visit for an alternative family break. Check out where to stay in Aragon here. Wow this place looks gorgeous. The waterfalls above are where the famous Timotei advert was filmed. Digital Motherhood stayed in a villa booked through AirBnB in this area and spent a wonderful week in the sun with her family. 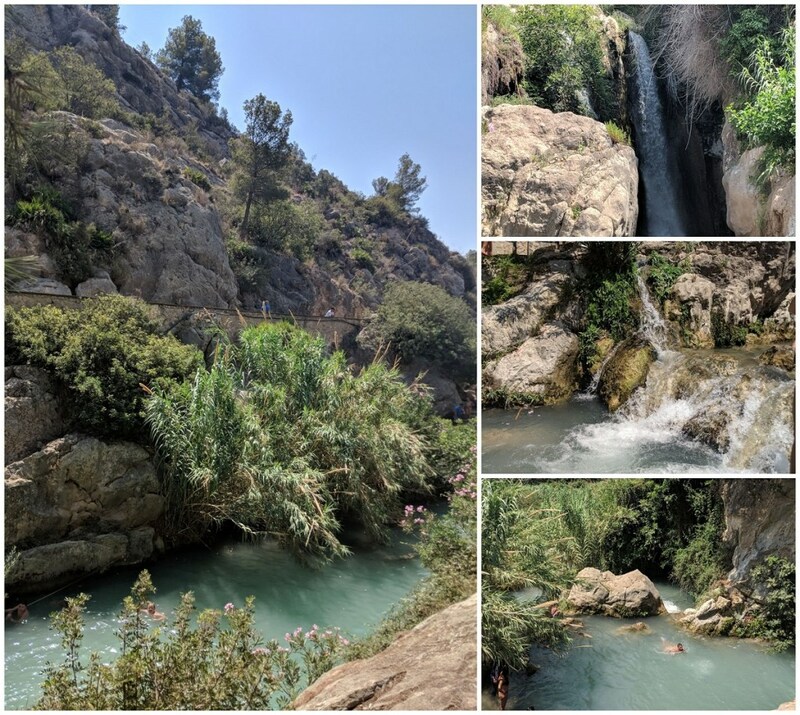 With natural waterfalls and pools to swim in, mountain villages to explore, fiesta parties and waterparks all within easy reach, this looks like the ideal spot to explore some of the hidden parts of Spain away from the main tourist track. Cambrils is the town I mentioned at the start of this post (where you can get the bus to from Sanguli). It's a gorgeous place with cobbled streets, miles of sandy beaches and seafood restaurants lining the prom. Mudpie Fridays stayed in Hotel Best Cambrils - there were pros and cons to this hotel but overall it looks pretty good. Check here to see other hotel options in Cambrils. Let me know your favourite place to stay in Spain. I hope I've provided a little inspiration for you here. Wow I hadn't heard of most of these, but now I want to go to pretty much all of them ha!